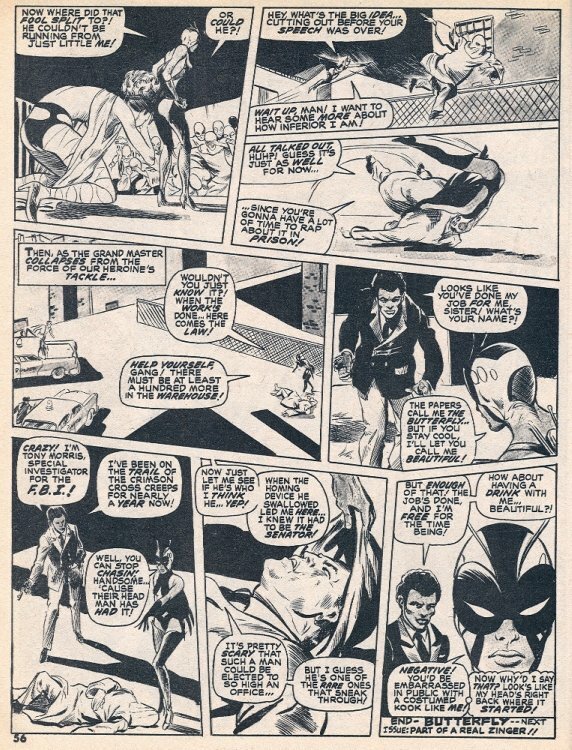 Art by Rich Buckler. Perhaps a rough for a splash-page or cover for a color comic reprint of the two Butterfly stories together. It was used as the cover for the fanzine "Fan Informer" in 1971. After her performance was interrupted by an assassination attempt on a politician in the audience, singer Marion Michaels donned the garb of The Butterfly to try to capture the gunman. However, the Senator's bodyguard manages to shoot the killer before he can fire again. A small device on the dead man's belt detaches and flies off with Butterfly in pursuit. 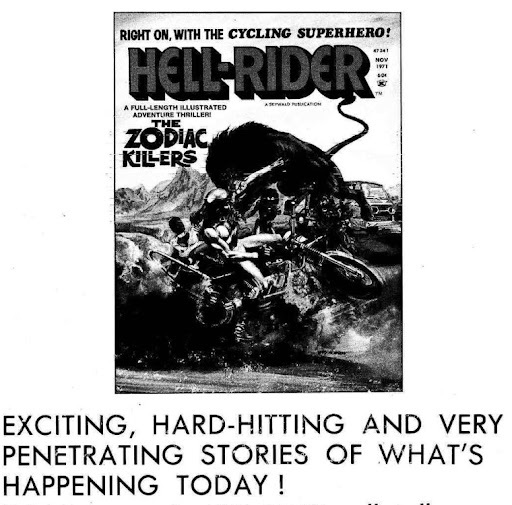 Issue #3 of Hell-Rider never came out. 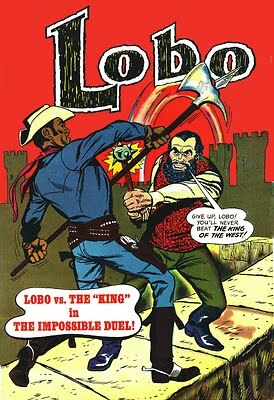 A cover by Gray Morrow was shown in the back of some of the other Skywald magazines, promoting a "full length" tale (which was probably like issue #1's "linked" individual stories of Hell-Rider, ButterFly and The Wild Bunch). 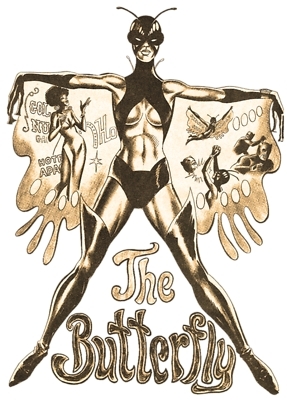 It was Butterfly, a character I drew for them (but didn't create)--and I had given her a makeover (made her and supporting players more black). I also wrote the story (but not the final script) that dealt with the KKK and corrupt politicians. 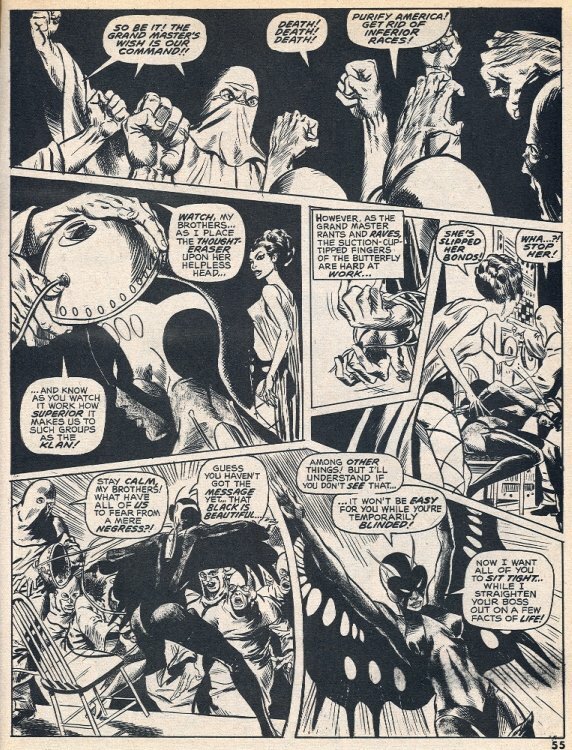 This was, I believe, the first black super-heroine in the comics, and I thought I was doing something important for them. I got flack for this and Bill Everett was hired to touch up many of the faces (to make them look more white--go figure), and I quit when I saw the final result. There's more, and I suggest you go to this entry of the blog 20th Century Danny Boy, where it originally appeared, to read it. 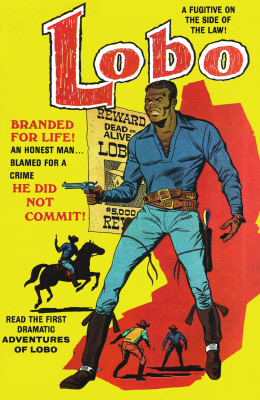 Thanks for joining us as we presented the never-reprinted Silver Age stories of Lobo (The FIRST Black comic character with his own book) and Butterfly (The FIRST Black SuperHeroine)! We'll be doing more online complete story re-presentations of this type, so bookmark us or you'll be left out of the fun!